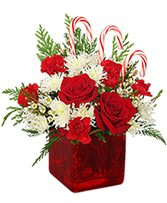 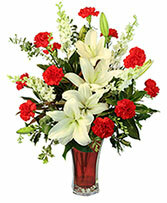 White Lilys, White Daisy, Red Roses, Red Carns. 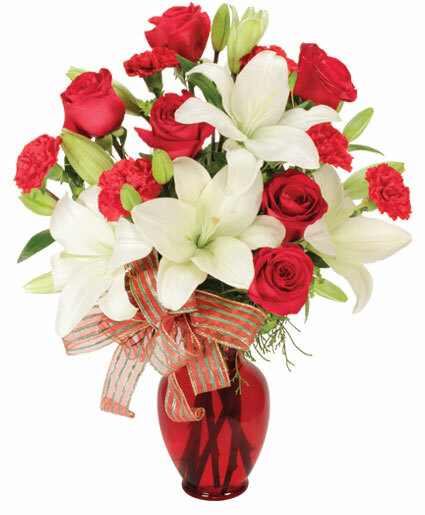 Beautiful whites and red combined in a way that will always say I Love You. 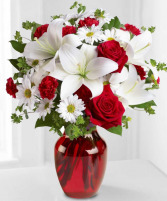 Show your affection with this timeless display.